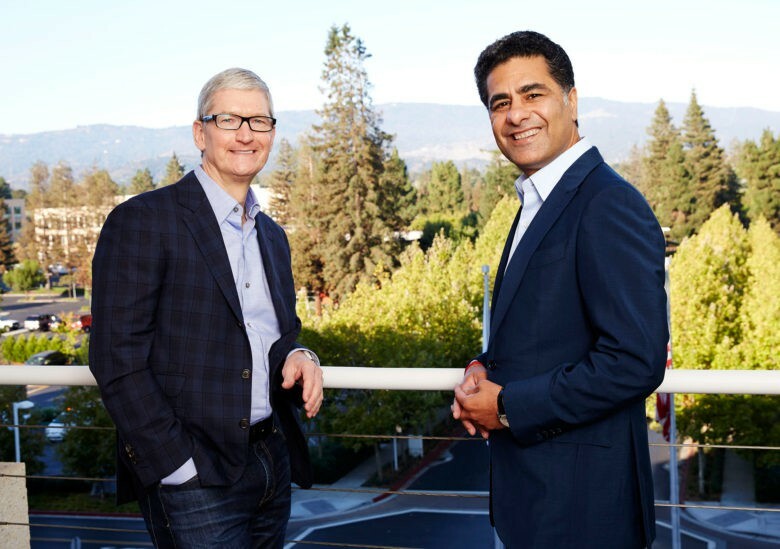 Tim Cook and Deloitte Global CEO Punit Renjen roll out a new partnership to boost business use of iPhone and iPad. Apple revealed that it is making a deeper push into enterprise today with the help of the business consulting firm Deloitte. The partnership between the two companies will lead to the creation of Deloitte’s first-ever “Apple practice.” Deloitte’s new Apple team will be comprised of over 5,000 iOS specialists who will analyze businesses and advise them on the best way to integrate iPhone and iPad into their work environments. Apple and Deloitte are also collaborating on the development of the new EnterpriseNext service. Deloitte Consulting will offer the service to help clients use the iOS ecosystem in the workplace, helping companies unlock productivity and create custom iOS solutions. Apple shocked the business world two years ago when it teamed up with IBM to create better apps for enterprise users. The partnership with Deloitte could help iPad become just as popular at work as it is at consumers’ homes. Deloitte says it already has over 100,000 iOS devices in use by its workforce, with over 75 custom apps created. EnterpriseNext will be offered to businesses as a two-week workshop that will create innovative ideas by pairing creative thinking with industry experts, iOS app developers, enterprise architects, and business leaders. It sounds like once the workshop has created the basic idea of custom apps for a company, Deloitte’s team then goes and finishes building it. For more information on the partnership check out Apple’s business site.